Oasis Academy Long Cross is an inclusive Nursery and Primary School for children aged between 3 and 11 situated in North Bristol. We are committed to delivering first class-education and playing an active role in the local community. Our Special Educational Needs Co-Ordinator (SENCO), Mrs Barry has put together a SEND newsletter for the Spring terms. 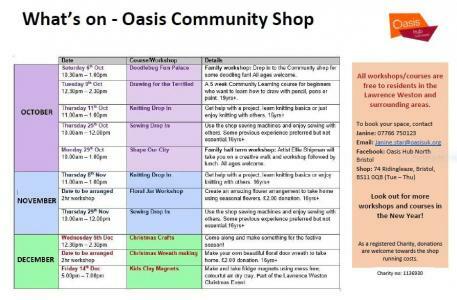 Exciting times at the Oasis Community shop this Autumn!